A spy on a mission...Until he meets this heiress! But after that first captivating kiss, she's certainly left wanting more! 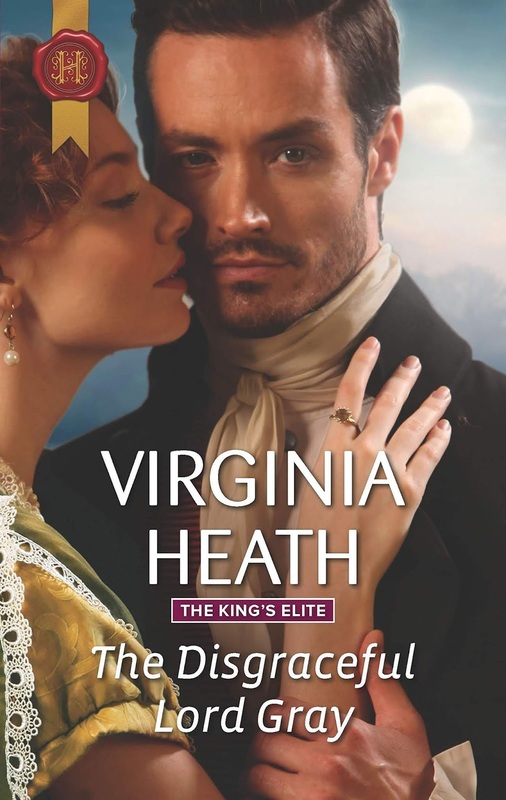 This was my first book by Virginia Heath and I was thoroughly charmed. She pulls you into her world with witty dialog, sparkling banter, a credible mystery, and vibrantly depicted characters who come to life on the page. Theodora and Gray are likable characters who have been molded by incidents in their youth. Both are rather set in their opinions as well as the life course they've charted. Of course, a chance meeting that leaves quite the impression changes everything. What follows is a flirtatious ebb and flow, a slow burning attraction, friendship, romance, and more. I enjoyed every step of their unconventional journey. The author does a good job of continually moving events forward, keeping me invested in the evolution of both characters and story. I solved the identity of the villain early on but there were still surprises revealed that caught me off guard. I love when an author can accomplish that. Heath also surrounds our hero and heroine with a vividly portrayed secondary cast who bring humor, introspection, and villainy to the story. I especially enjoyed Thea's widowed friend, Harriet, who is determined Thea live life to the fullest, and Gray's dog, Trefor. You can learn a lot about people by how they treat, and are treated by, their dog. The Disgraceful Lord Gray is the third book in Heath's The King's Elite series but stands on its own. However, now that I've discovered this author's sparkling wit, you can be sure I'll be seeking out the first two books in the series and I'm already looking forward to book four, The Determined Lord Hadleigh, due to be released in July. Great review! Her books are wonderful! About to read this one!